Health Help Now aims to help people find the right service in Buckinghamshire when they need medical help, but it is not a life-threatening emergency. It has been developed with input from GPs, hospital doctors, and other health professionals. It lists common symptoms and offers suggestions for treatment. The one which works best for most people is listed first and the other suggestions follow in order. Health Help Now then links through to local services, and shows whether they are open or closed and their location. Available 24 hours a day, 365 days a year. Calls are free from landlines and mobile phones. An adviser, supported by healthcare professionals, will ask you a series of questions to assess your symptoms and direct you to the best medical care for you. For less urgent health needs, contact your GP in the usual way. NHS 111 also offers a video relay service that allows you to make a video call to a British Sign Language (BSL) interpreter. 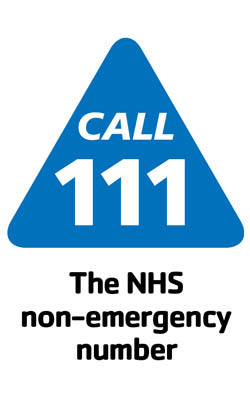 The BSL interpreter will call an NHS 111 adviser on your behalf and you’re then able to have a real-time conversation with the NHS 111 adviser, via the interpreter. You will need a webcam, a modern computer and a good broadband connection to use this service. Healthwatch Buckinghamshire is an independent voice for people who use local health and social care services.